Romhacking.net - Hacks - Mario a plumber in time. Luigi sidestory. Mario a plumber in time. Luigi sidestory. 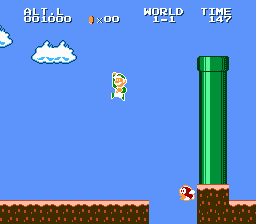 This is a mini hack that is also a sequel to an upcoming hack: Mario a plumber in time. 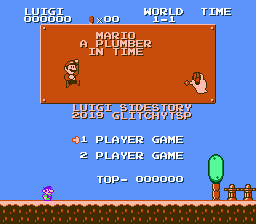 In this hack, you get to play Luigi and experience his side of the story. 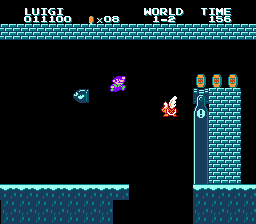 And since you are Luigi, you get Luigi physics, Jumping, sliding and even your firepower has changed, Player 2 gets to use Luigi’s old colors, similar to how Luigi bros did it in Super Mario 3D world. 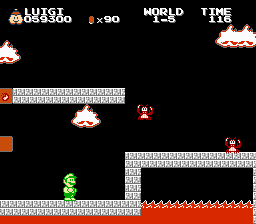 And also in classic Luigi fashion, this hack is quite difficult, Not Kaizo levels of difficult, but it definitely is a challenge, bonus points from me if you get the fire flower. Story: Luigi awoke to find himself in a strange yet familiar land, he heard some nearby townsfolk talking about a Red man who killed their king, and they plan to revive him using his what is left of his corpse and his ghost. Luigi hears this and sets off to find Mario, and defeat this spoken of king’s ghost.